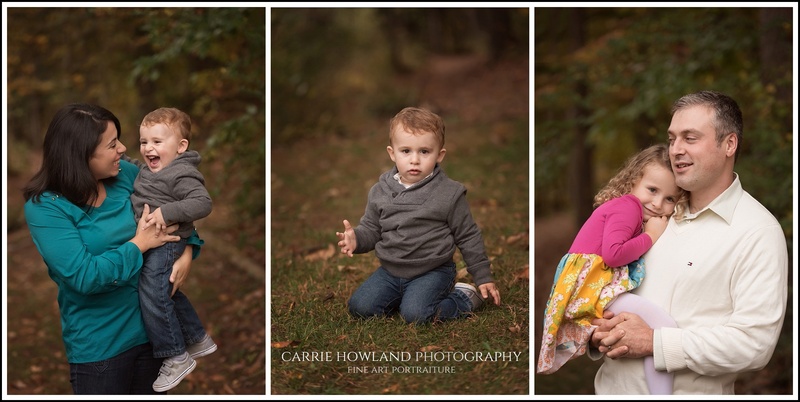 On one of the last October days during peak leaves season, we chose a beautiful location that was filled with rich falls colors that complimented the family’s vibrant wardrobe so perfectly. 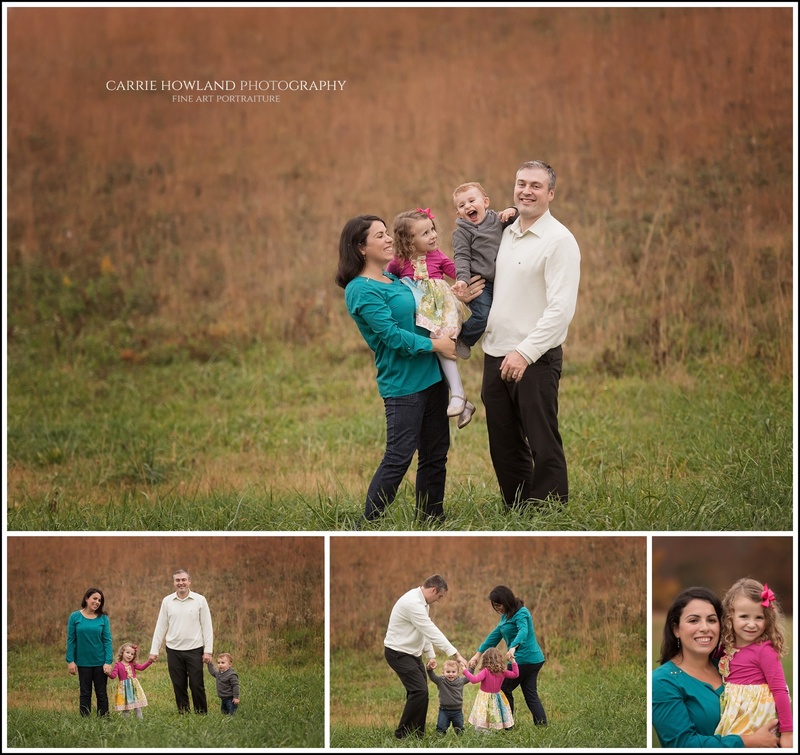 There was no sun in the sky that evening but the colors that this mommy chose for her family brought the warmth that we would have otherwise been missing without the sunshine. 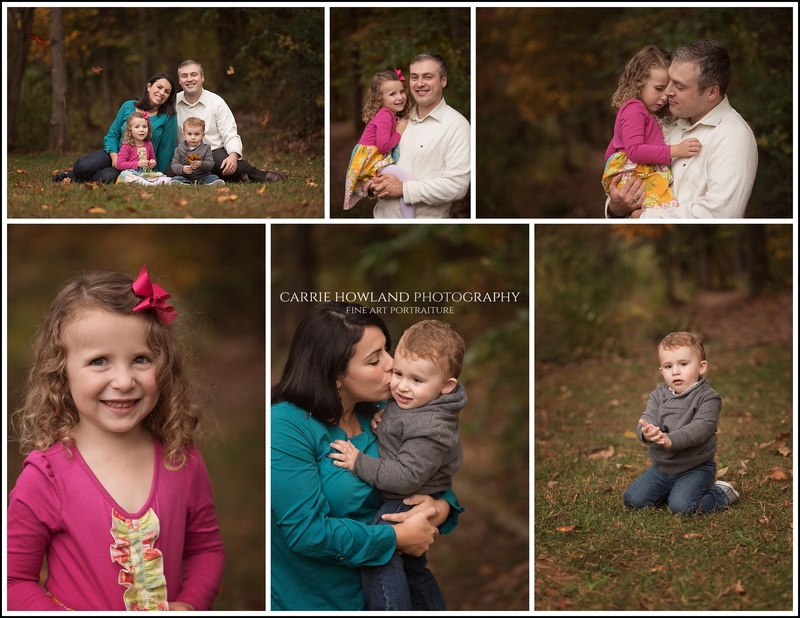 This session was fun because the children were at great ages where they were old enough to reason with and past the melt down age but still young enough to ask them to play Ring Around the Rosie or tickle mommy and daddy. 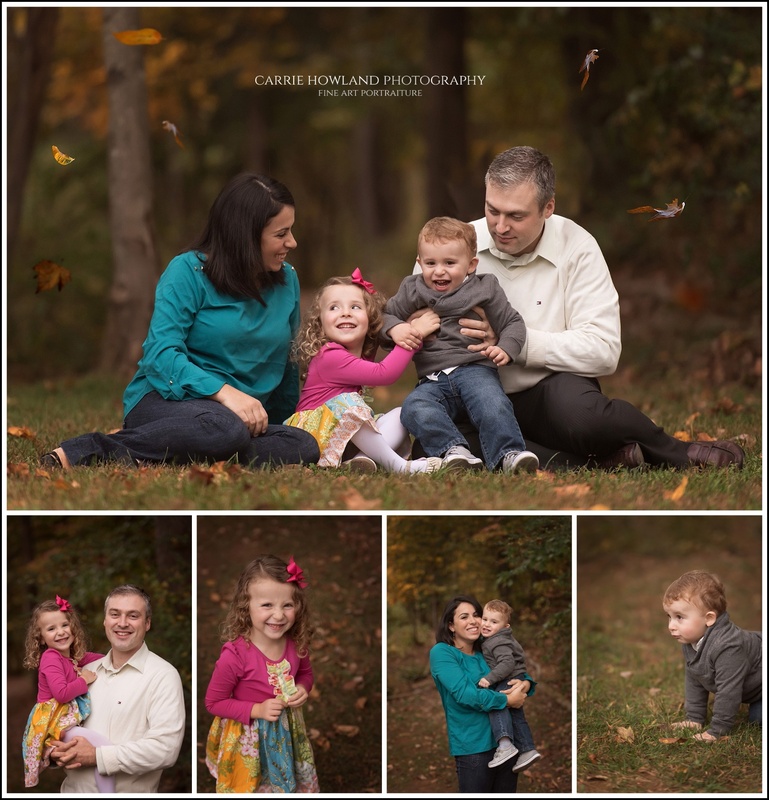 Playing games together helped me to capture their natural smiles and giggles and was just so much more fun that posing and saying “cheese”. 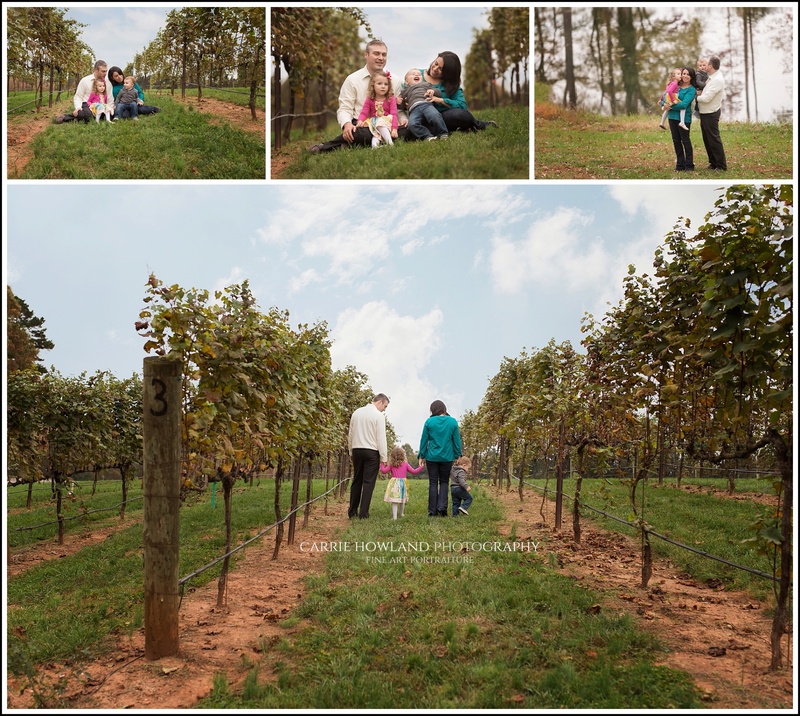 We had to move really fast because our venue was closing but that didn’t stop us from exploring the beautiful landscapes and getting lots of variety in locations. 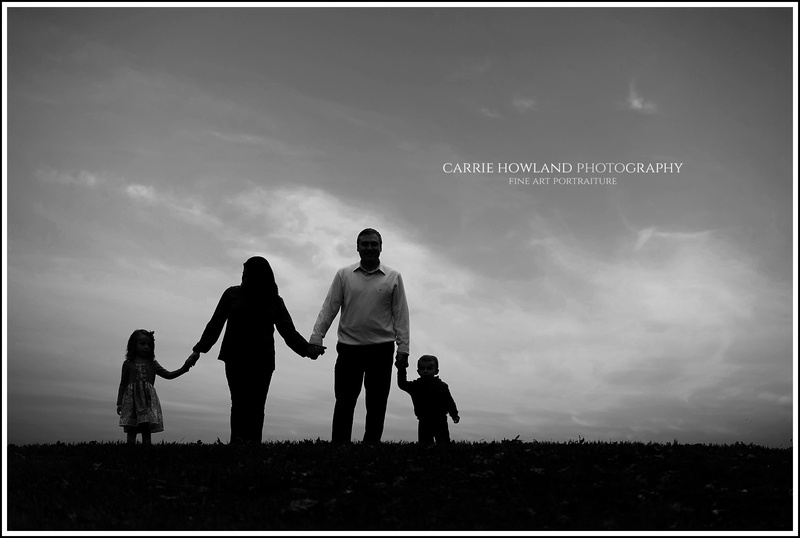 I love when I can find an elevated and backlit spot perfect for a silhouette. 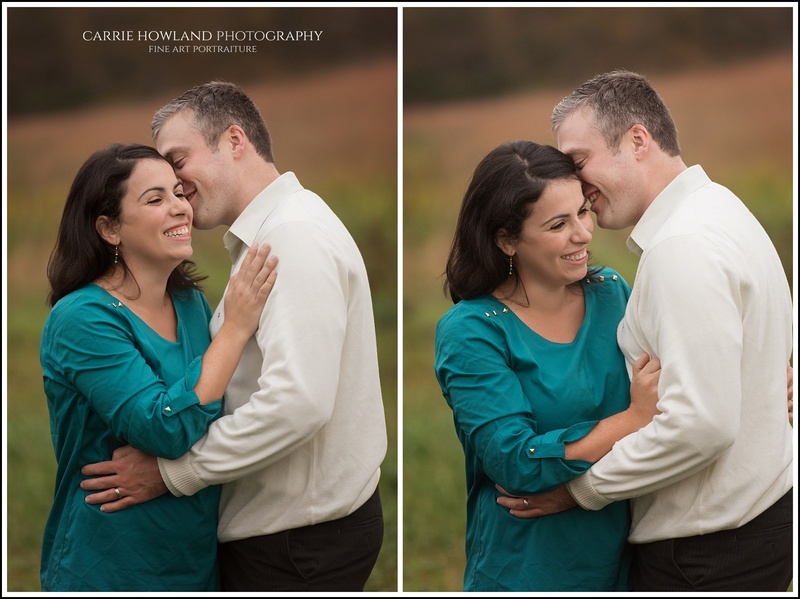 I think that was my favorite shot of all! 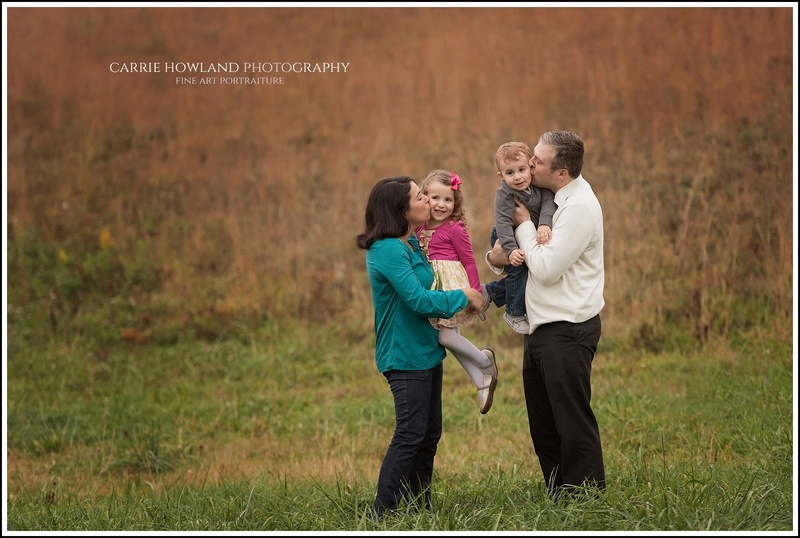 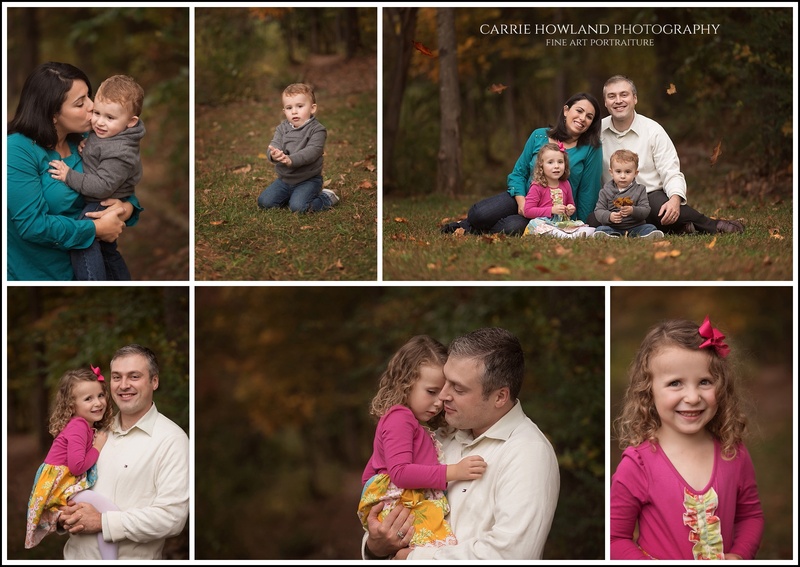 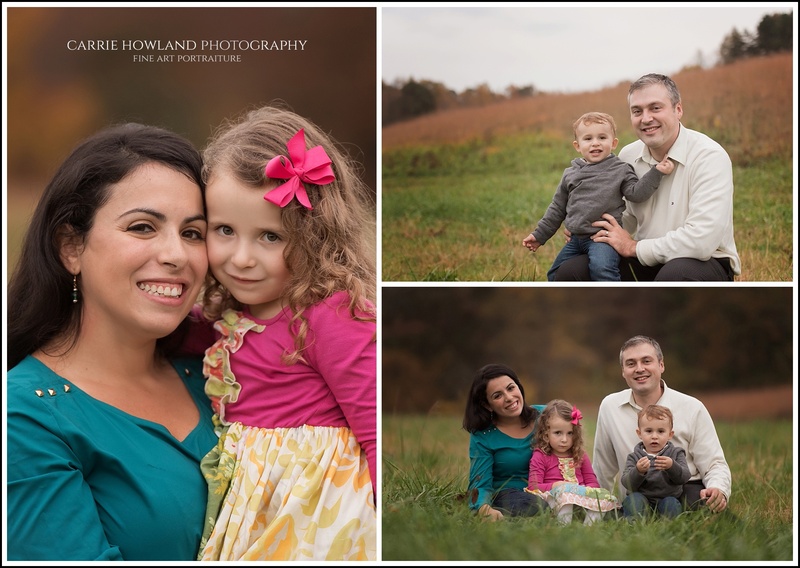 Carrie Howland Photography is a fine art family photographer located in Huntersville, NC and serving the greater Charlotte area.